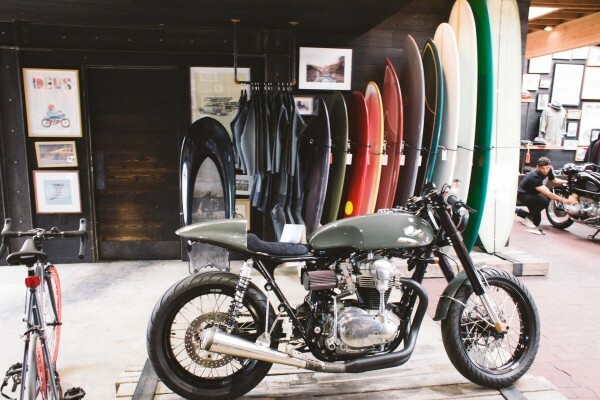 Let’s face it – Mondays can be brutal. 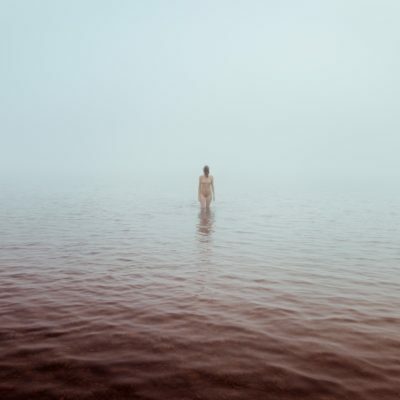 Between waking up to a pile of e-mails to still feeling jet-lagged from your Saturday night, the beginning of the week is a breeding place for a bad mood. 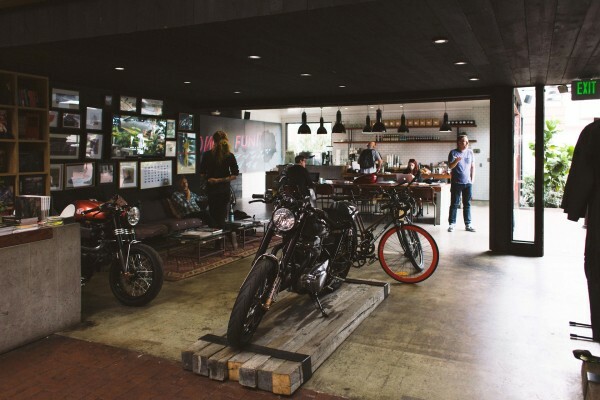 Luckily, places like the Deus Ex Machina cafe exist. 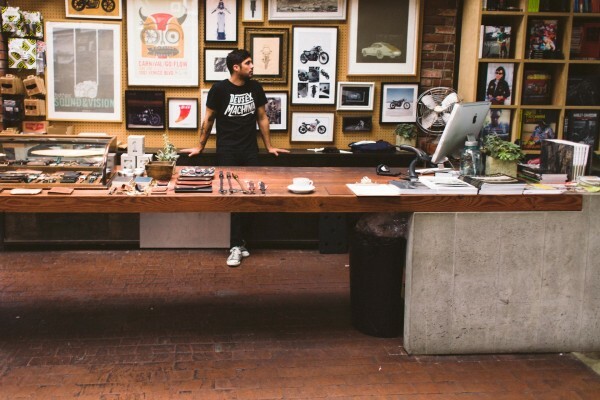 Cruise by the shop to grab some coffee, get some work done and relax as you prepare for the week ahead. 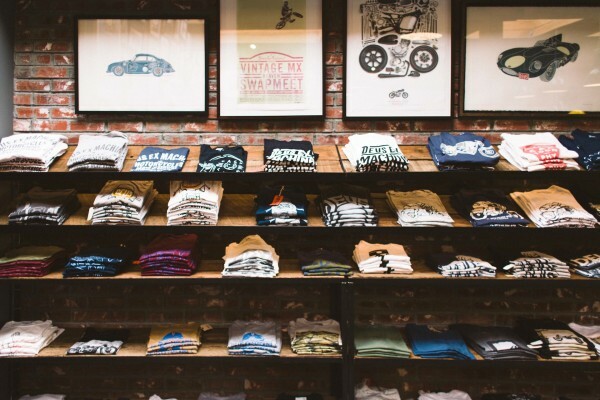 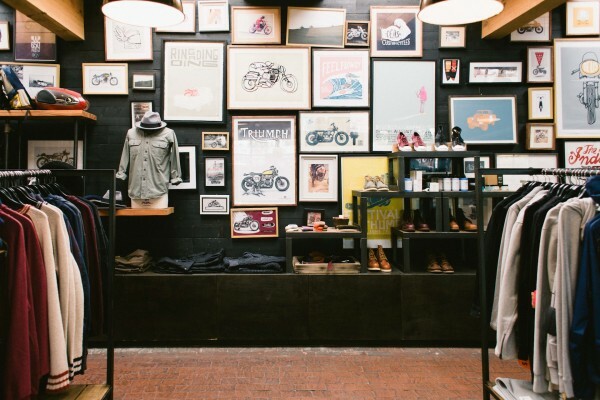 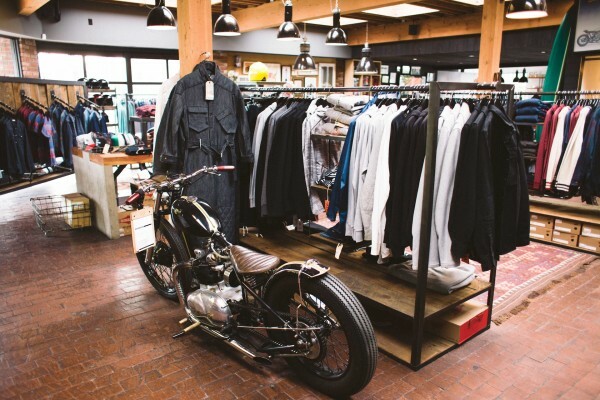 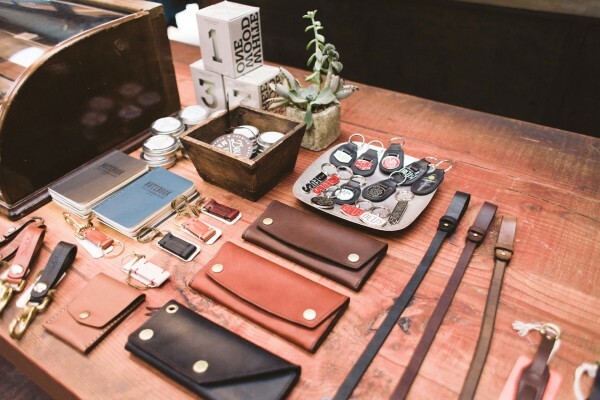 Deus Ex Machina, the global brand known for its flagship stores around the world that celebrate motorcycle and surf culture, boasts their shop appropriately named “The Emporium of Postmodern Activities” here in Venice, California. 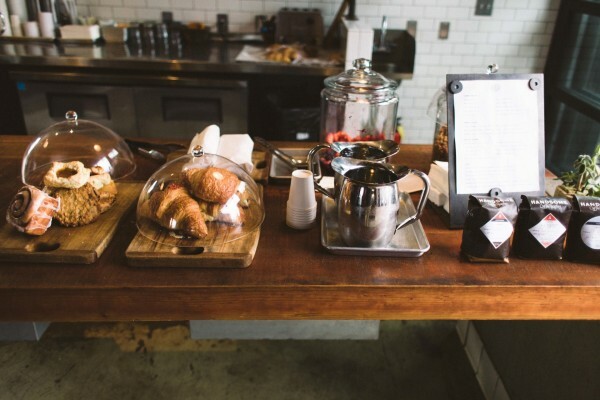 Founded by randomly wandering in one day a few weeks after moving to Los Angeles, I immediately fell in love with the warm atmosphere and strong flat whites. 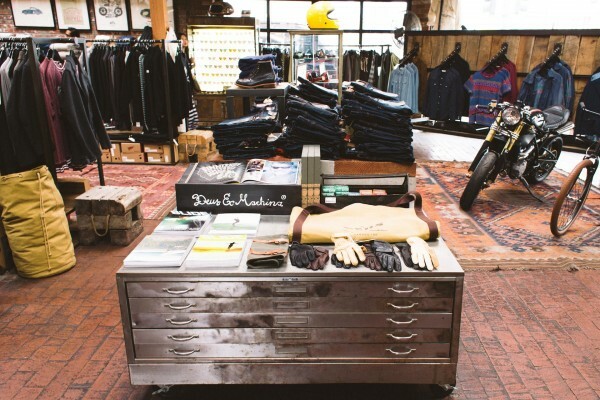 Half coffee shop and half boutique, Deus Ex Machina acts as my one stop spot. 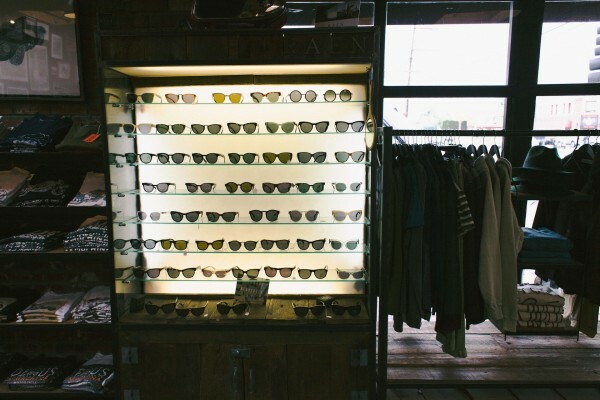 Last time I was here, I picked up a few mens t-shirts to wear boyfriend style and a new pair of sunnies. 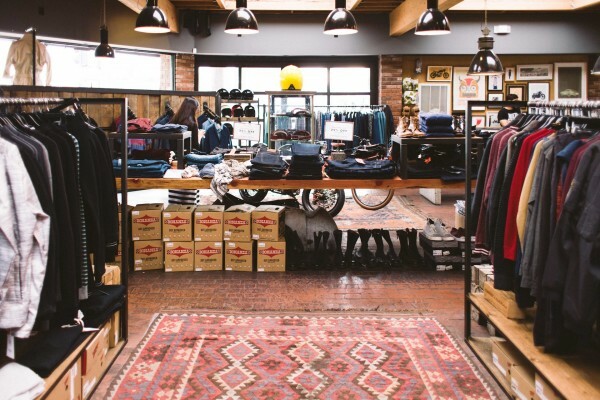 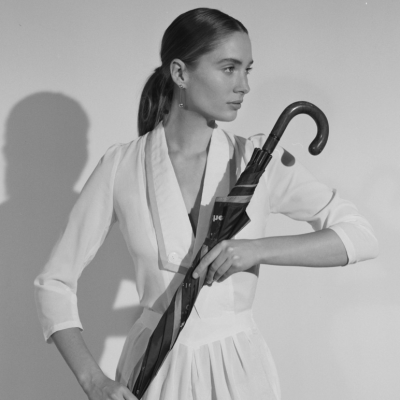 While the retail store is geared towards the gentleman, a fair amount of products are female friendly. 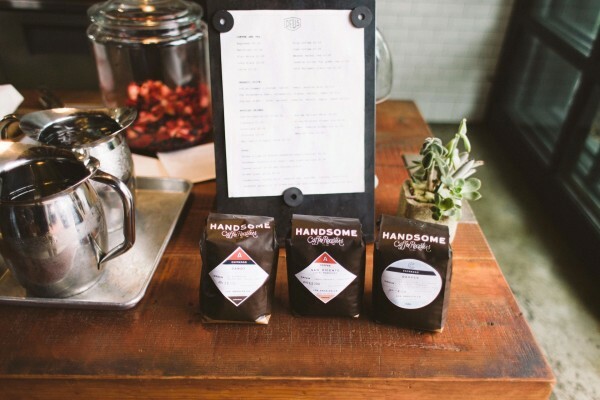 The cafe serves Los Angeles’ own Handsome Coffee and has a menu offering everything from scones and granola to juice blends and salads. 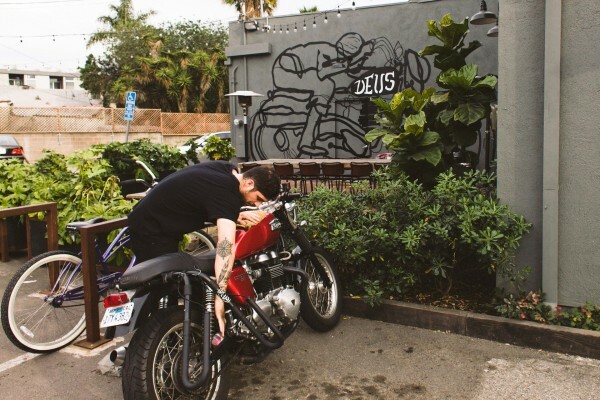 Equipped with a lounge area full of photography books and magazines plus a television that is usually playing vintage surf and motorcycle videos, Deus Ex Machina is my favorite spot to recover, refuel, and, of course, check out biker babes. 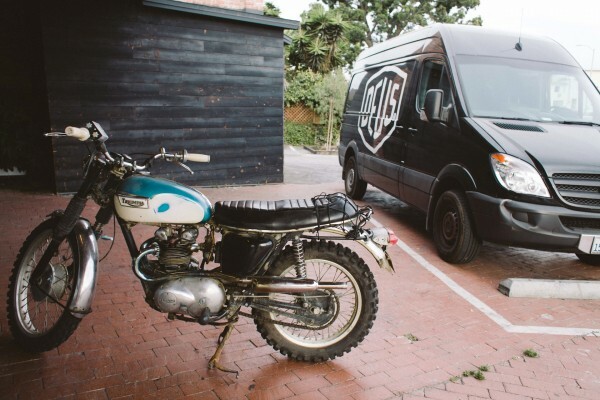 The staff is friendly, the regulars outgoing and the cafe has multiple community style tables – be prepared to get acquainted with the motorcycle obsessed, surf enthusiasts and Venice natives alike.